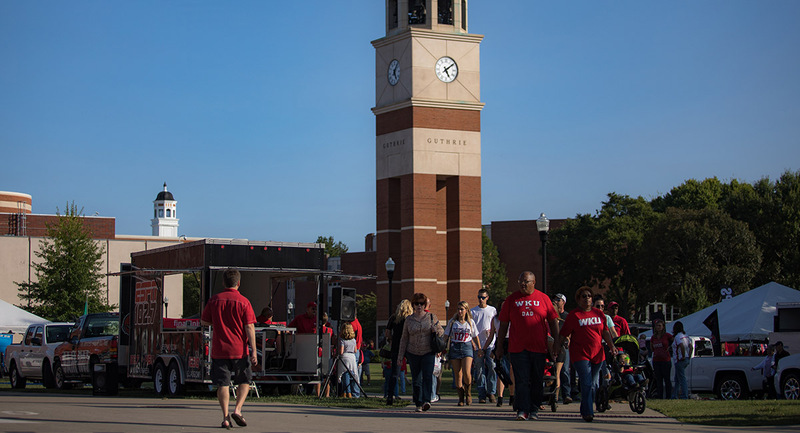 WKU students and families find that Parent and Family Weekend is a wonderful time to visit their students, meet with faculty and enjoy the beauty of the campus in autumn. It is also the perfect time for students to show their gratitude for their outstanding support by nominating them for the WKU Family of the Year. Note: The Family of the Year MUST be in attendance at the 2018 Parent & Family Weekend on Saturday, September 29, 2018 to receive 2018 WKU Family of the Year recognition - all the nominated families are NOT required to attend. What will the selected family receive? Recognition by President Timothy Caboni at half-time of the WKU vs. Marshall football game. How do I nominate my family? To be eligible for selection as Family of the Year, the family must have at least one (1) undergraduate student enrolled full-time and in good academic standing at WKU. Answer the following questions as thoroughly and as accurately as possible. What effect has your family had on you during your college experience? How does your family standout from other WKU families? What one word or phrase describes your family, and why? Should you have any questions regarding the 2018 WKU Family of the Year Nomination Form or process, please contact Sharon Hunter, Assistant Director, Housing and Residence Life, sharon.hunter@wku.edu. Nominations are reviewed and selected by members of the Parents Advisory Council.